No matter how chilly it is outside, when schools are closed your kids just need best option to spend holidays happily without getting bored.. This means that you are going to need an outdoor space where the children can spend the day. Some of the best playgrounds in the UK are as follows. Toffee Park, London is highly recommended and in 2011, it won the London Adventure Playground of the Year Award. The park consists of an open access playground that will encourage your kids to indulge in creative, physical play. This playground consists of a nature and allotment garden, tree house and a clay oven that can be used to fire pots and make pizzas. An aerial runway is also available and you can also find a multi sports area. Another playground that is recommended is Creepy Crawlies in York. This is a playground that offers everyone something to do. You can find a miniature animal farm, a high ropes course, quad bike racetrack and wacky swings. The interior of the play area consists of a huge Astra slide in addition to a collection of costumes for a keen thespian. A beauty studio, fitness suite, nursery, riding school and pottery barn are also available in this playground. Go Ape in Trent Park is another playground that is recommended and it operates nationwide. A new outpost has just opened in London and it sits in the midst of woodland. The playground is just a ten minute walk from Cockfosters Tube station. Although the place is not cheap, is an outing for the whole family that you will remember for days to come. Harewood House in Yorkshire spans over 3 acres and it boasts of the most amazing playground that you can find anywhere in Yorkshire. Children of every age can enjoy the comprehensive list of activities that can be done here and this includes having a picnic in the expansive grounds. 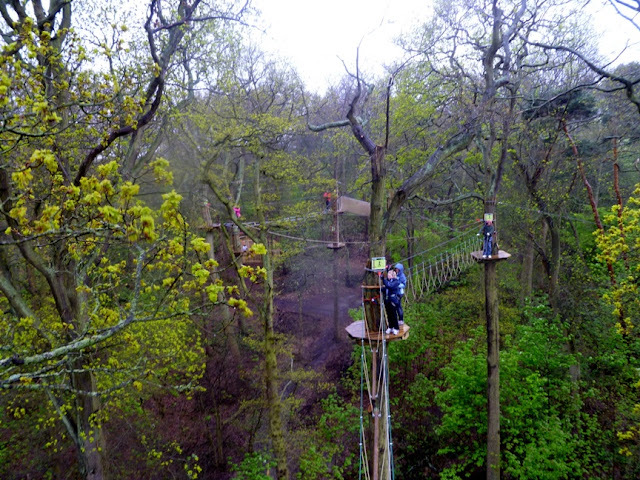 Climbing nets and giant swings are available in addition to rope bridges as well as zip wires. Aerial walkways are set against the façade of an 18th Century treasure house. 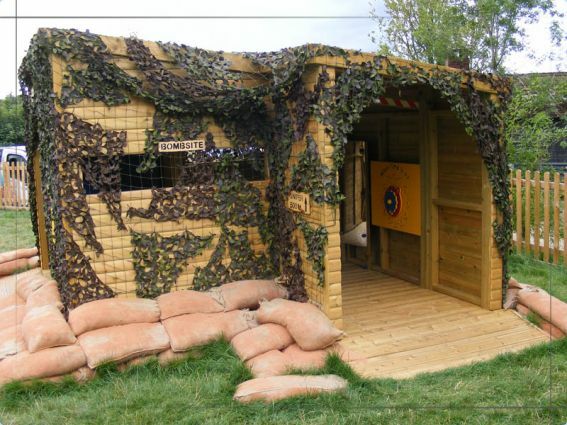 The National Trust commissioned a World War 2 themed playground at Croome Park near Worcester in recognition of the important role the stately home, Croome Court played for members of the armed forces. The bespoke playground equipment was designed by Image Playgrounds and includes camoflage huts and a war plane wing slide. Cave Hill in Belfast is a playground that opens during the weekends. Children between the ages of three to fourteen can explore the cradle swings, slides, spring rockers as well as bicycle roundabouts. If you have older children, an aerial runway and space net is available for them to play in. The Diana, Princess of Wales Memorial Playground can allow your kids to be pirates for the day. This is an imaginative playing area and it is located between the Kensington Gardens trees. If is a playground that is accessible and inspiring and your kids will enjoy playing on its beach, teepees as well as running between its sculptures. So the next time you are booking your box office theatre tickets, remember to book a day at the park for you and your kids. You will get to enjoy the day in the sun and you will cherish such moments for a long time to come. These activities are very healthy for children and do make them learn and play at the same time. Childrens play centre equipment are specially designed to make kids face the challenges, which will build their ability to be strong and learn a result oriented approach to cope with the hurdles on life. Impressive work on the essayist's part.